Look no further! This is the beauty you have been waiting for. 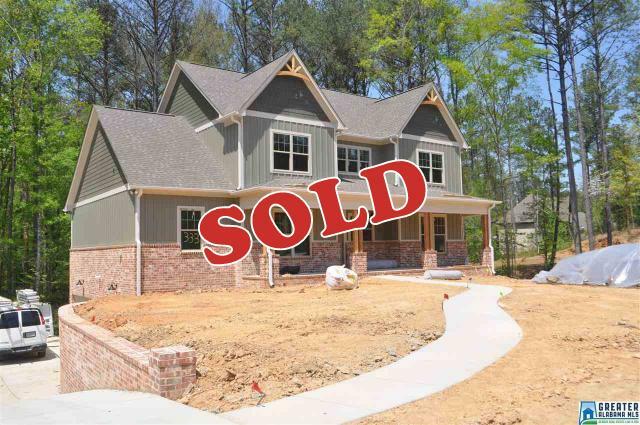 This gorgeous brick home under construction by Prominence Homes with a late Spring completion date rests on a large lot with lots of trees in the back. You will love making memories with family and friends in this open concept floor plan. The large dining room flows right into the impressive open den, eating area, and big kitchen; great for family gatherings. Relax in front of a crackling fire in your woodburning fireplace on those cool Winter nights. The kitchen will work so well as the heart of this home! Featuring a huge island, your showstopping but also practical new kitchen features abundant cabinet and countertop space. Down the hall you will be happy to know there is a large pantry and a laundry room that has so much space it might even make the chores much easier. Look forward to relaxing in your large master bedroom located conveniently on the main level of this quiet setting. Enjoy the spa-like master bath; take on the challenge of filling up the walk-in closet that any fashionista would love. Upstairs you will find three more large bedrooms, two more full baths, and a wonderful loft area for a great upstairs den. Yes, the full basement can be expanded for future rooms and yes, you will have the roomy three car garage you have always wanted. Enjoy the Alabama climate and create year-round outdoor memories on your covered porch and barbecuing on the patio, all in the perfect setting of your private wooded yard. This home will have all your favorite features and so many extras.